On my recent two week holiday to Italy, I was lucky enough to have a day trip to London. 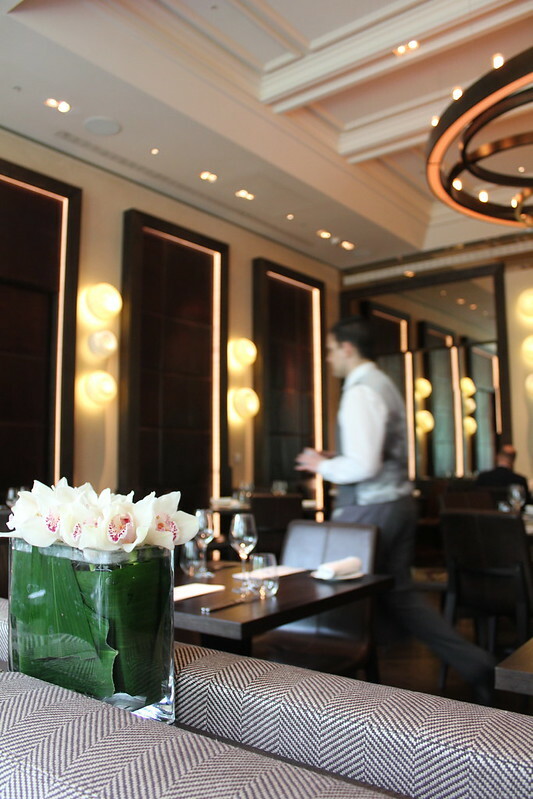 I didn’t have much time at all, but I couldn’t resist booking a table for lunch for myself at Dinner by Heston. After all the rave reviews and its recent appointment at number 9 on the top 50 restaurants in the world for 2012, who could say no to a quick lunch there after visiting Oxford Road for some touristy shopping? Not me, that’s for sure! 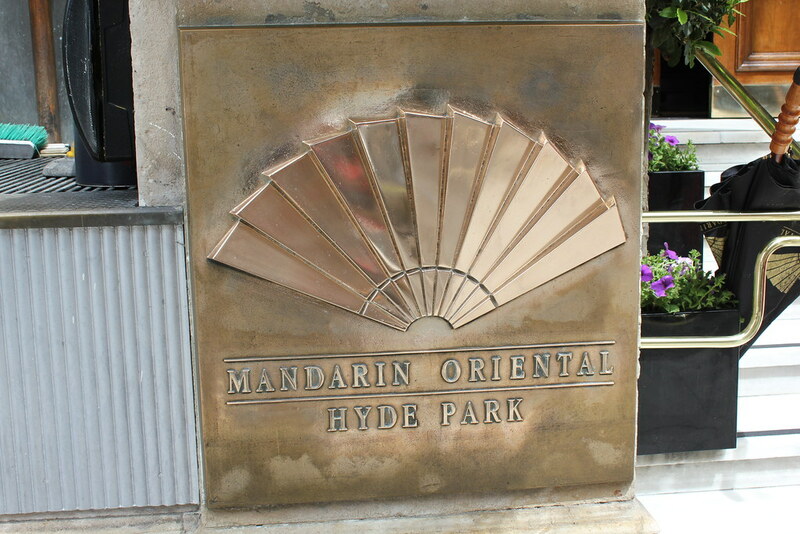 So, extremely sleep deprived from the looong flight and stopover from Hong Kong from Sydney, I marched (albeit, slightly woozily) towards the Mandarin Oriental in Hyde Park. 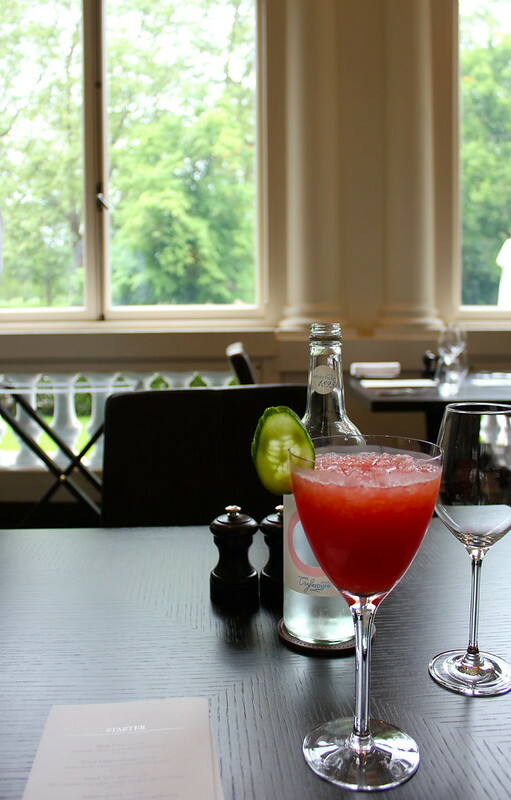 I was seated with an absolutely gorgeous view of Hyde Park and ordered myself a watermelon cucumber mocktail. 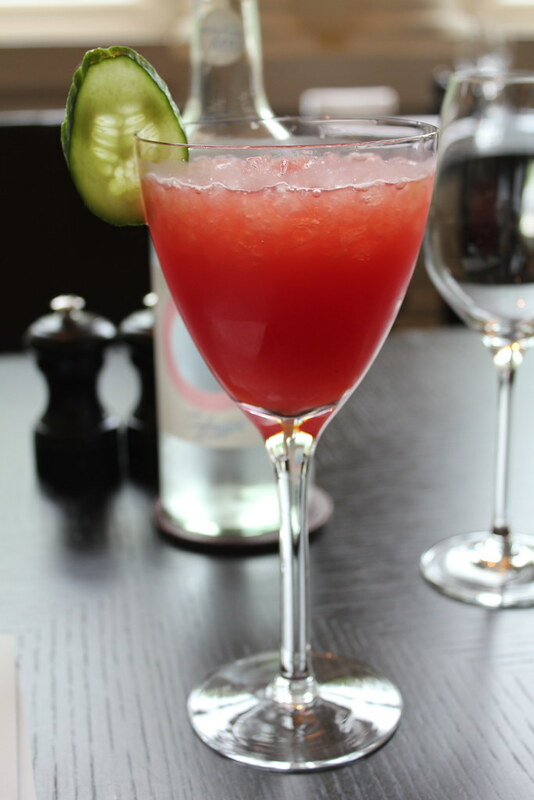 It was a lovely cooling and refreshing pick me up. 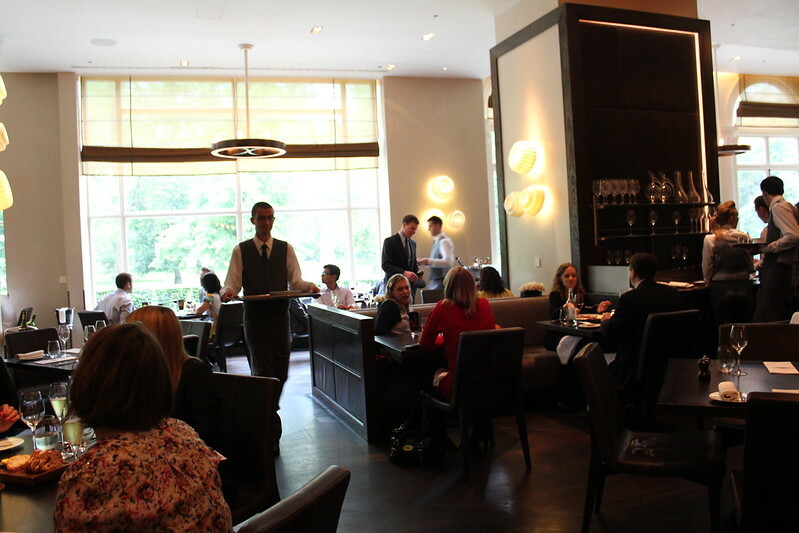 Dinner by Heston has a set lunch menu for the very reasonable price of £32. But I was interested in sampling some of the other menu items this time around. But this is a great budget option for those wanting to sample Heston’s delights. 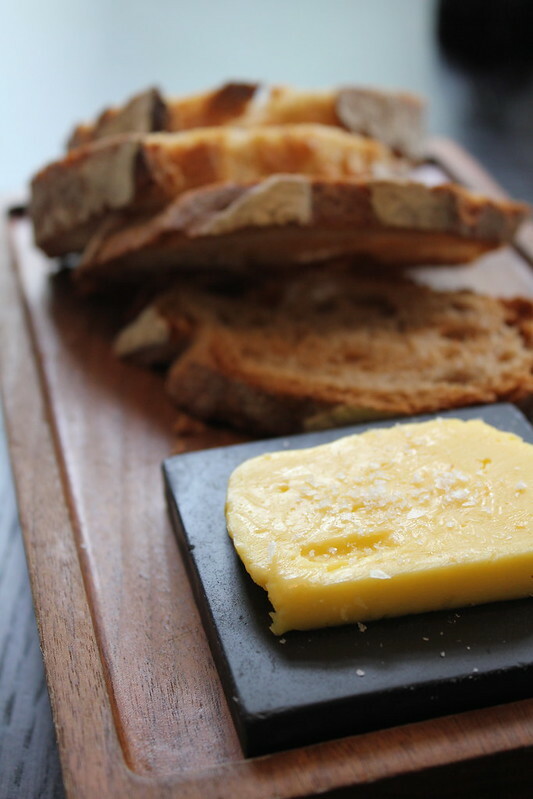 Munching on delicious sourdough and salted butter while perusing the menu. 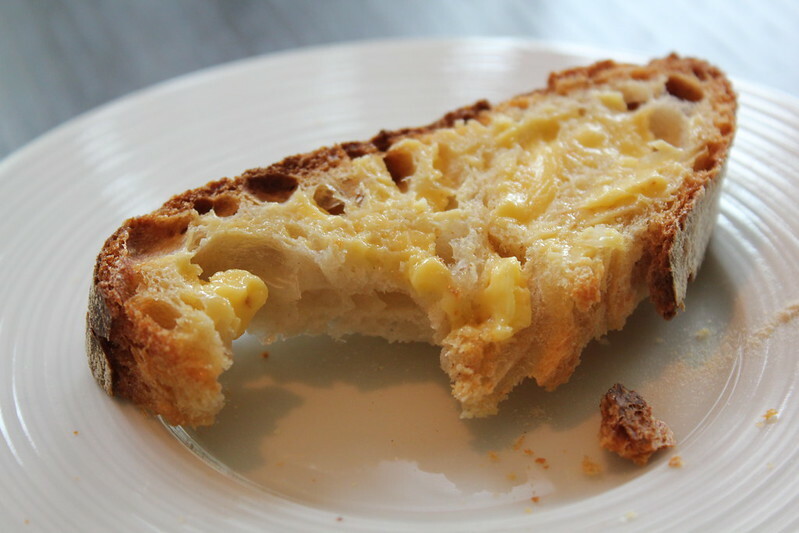 The creamy, salted butter was the perfect temperature to spread on the tasty sourdough. The star of this dish for me was definitely the veal sweetbreads – warm and crisp with a delicious meatiness that adds a real substance to the dish. 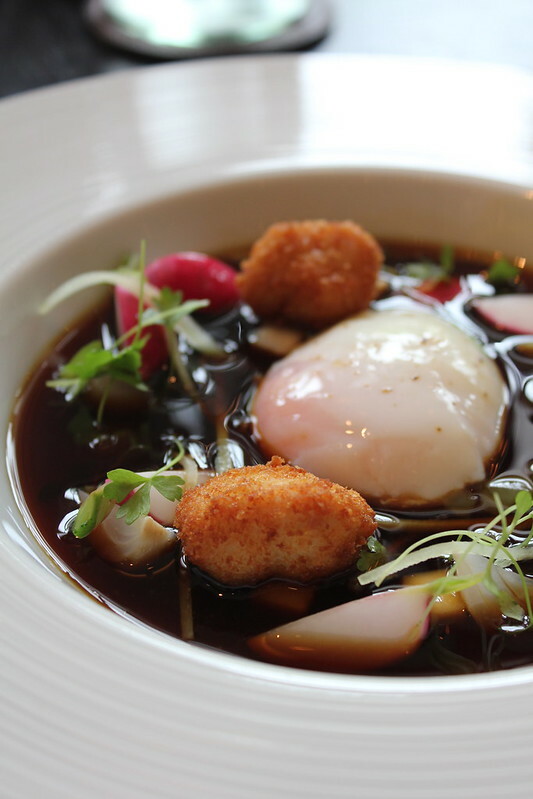 It is followed closely by the gorgeously slow cooked hen’s egg (these are a real fave of mine!) which adds a rich silky flavour to the broth which is well complemented by the crispness of the vegetables. 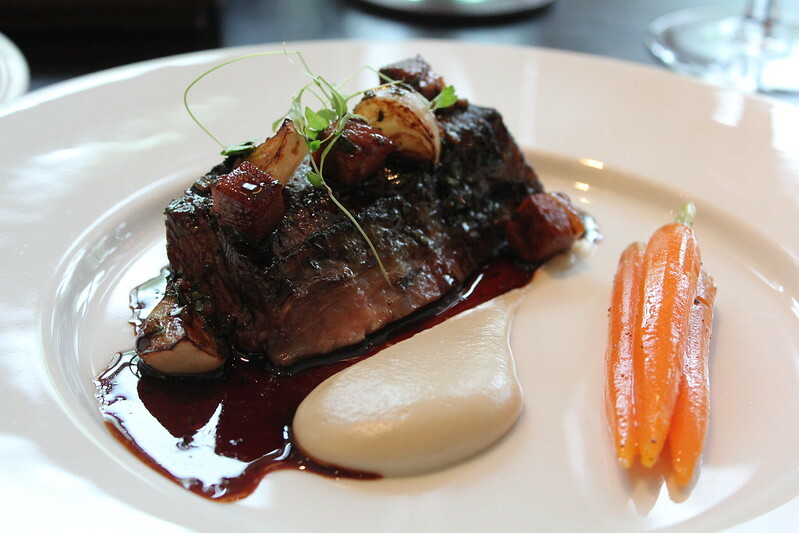 This was deliciously rich and tender and full of flavour and just melted in your mouth. 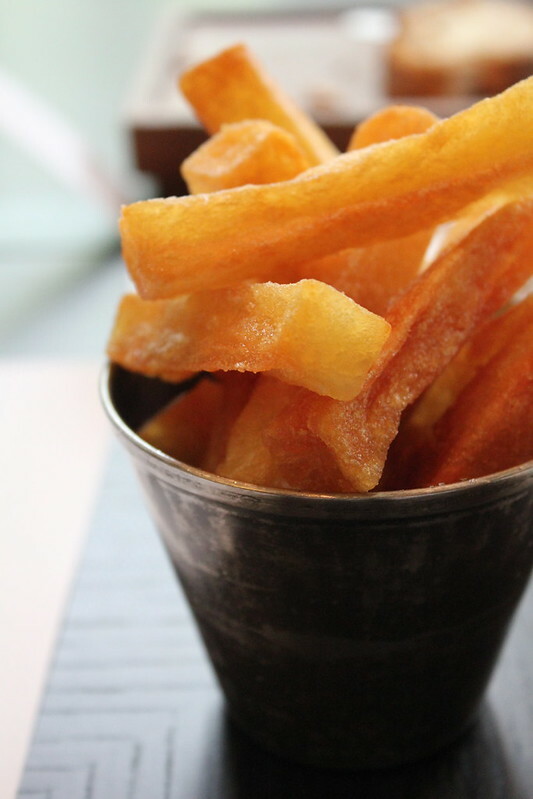 Of course I couldn’t resist ordering some of Heston’s famous triple cooked chips! 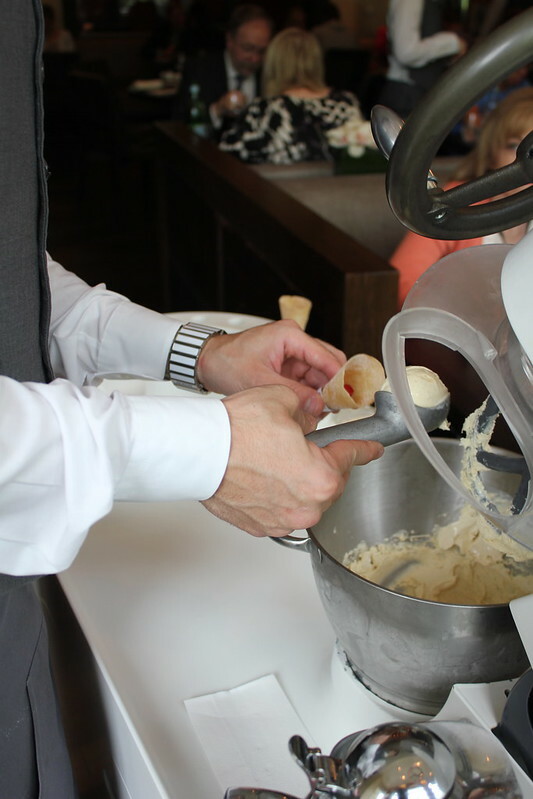 Ice-cream made at your table! He poured in a vanilla creme anglais and within seconds.. it was icecream! Just like magic!!! 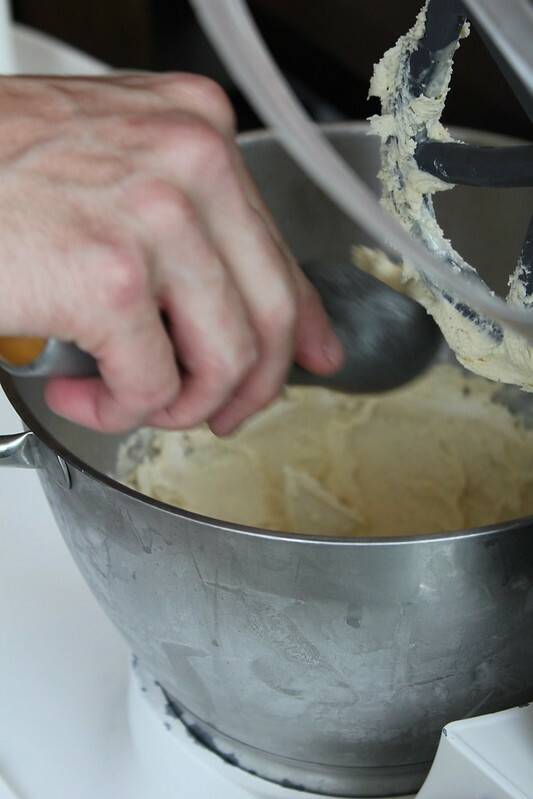 Scooping that creamy ice cream into cones. 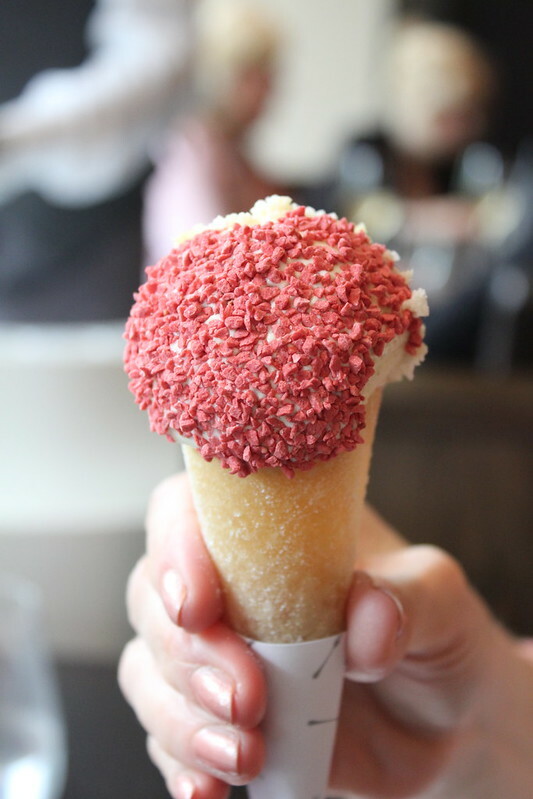 Dipping the cone into different flavours. 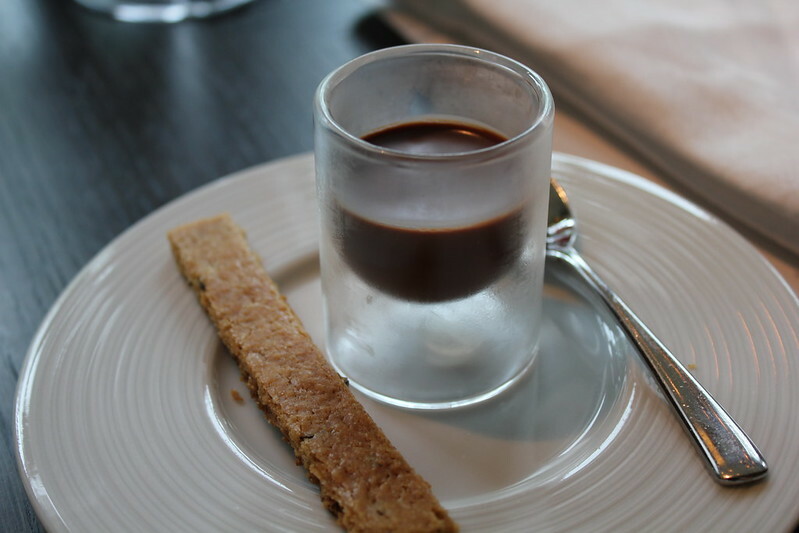 Final touch to the meal – a complimentary milk chocolate ganache with a biscuitty accompaniment – gave the meal a sweet finish! you lucky duck! everything looks and sounds amazing and how sweet of that couple to share their dessert with you! What an amazing dinner you had. I think we are all filled with green envy 😉 I’m suprised also at how affordable it all is, especially with all of Heston’s tricks under his belt. Me too.. I couldn’t resist after hearing so much about them! That would totally be the first thing I’d do when I manage to visit London as well! 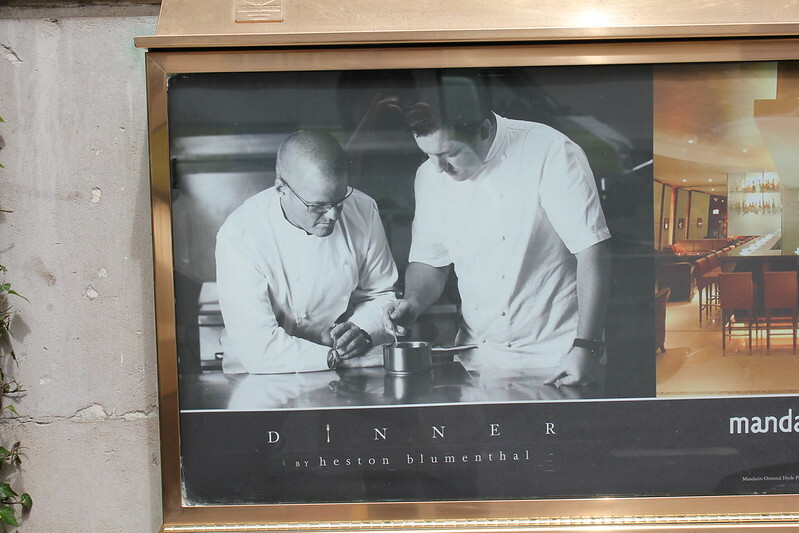 Been a huge fan of Heston for a long time..and totally jealous of your meal right now! Hehe its definitely worthwhile. I was so lucky to get a table as well.. I booked on the morning I visited! Wow, this must have been an awesome experience. I love the ice cream shot! It looks amazing and so inviting! It was lovely, thank you Asmita! What an incredible meal. 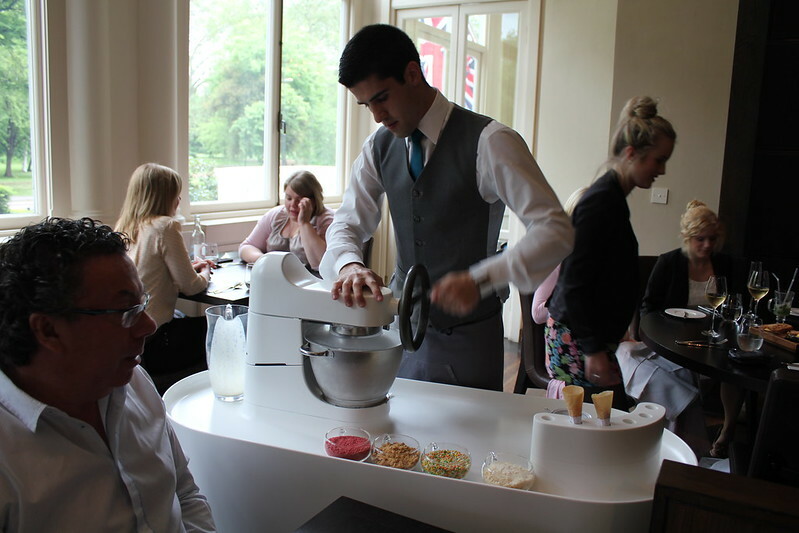 It all looks so enticing but I especially love the ice creams made at the table. 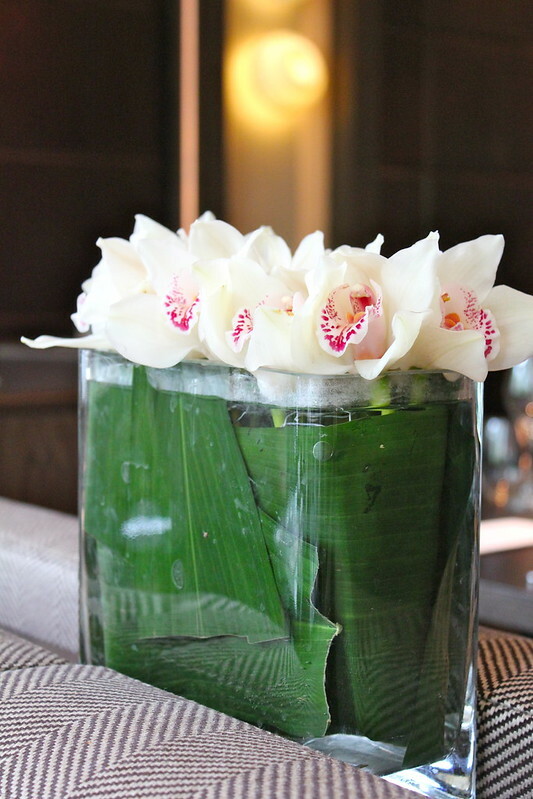 Gorgeous photos, too! Thanks Christina! 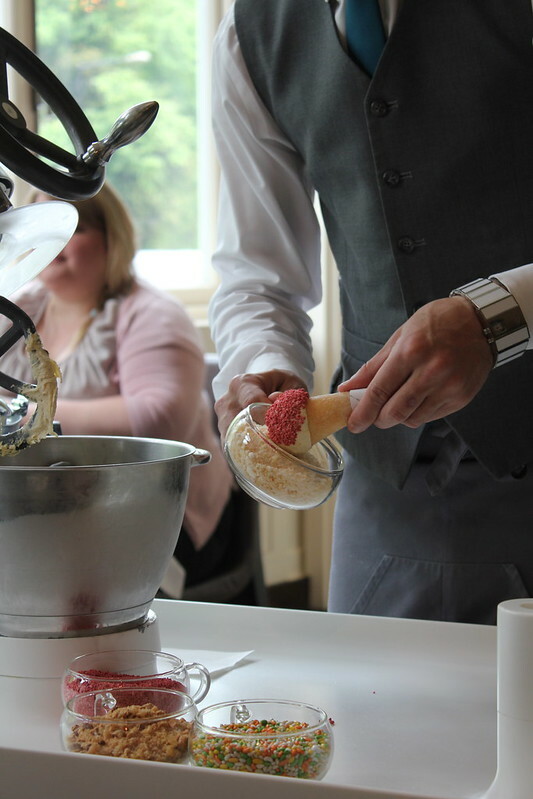 It was great to see the ice cream made straight at the table! Holy moly heston really is amazing. Your meal looks incredible! I want to try everything, particularly the ice creams. I also love your pics, they’re so clear and well composed. Wow, what an amazing meal! I love that ice cream presentation 😀 I’m dying to go here one day! It was wonderful, thanks! Definitely worth a trip! The lunch menu looks so cheap for 32 pounds…and I wouldn’t be able to go past those triple cooked chips…and the ice-cream! FUN (so nice your neighbours let you have a little try). Everything looks amazing. Hope I get a chance to visit one day. 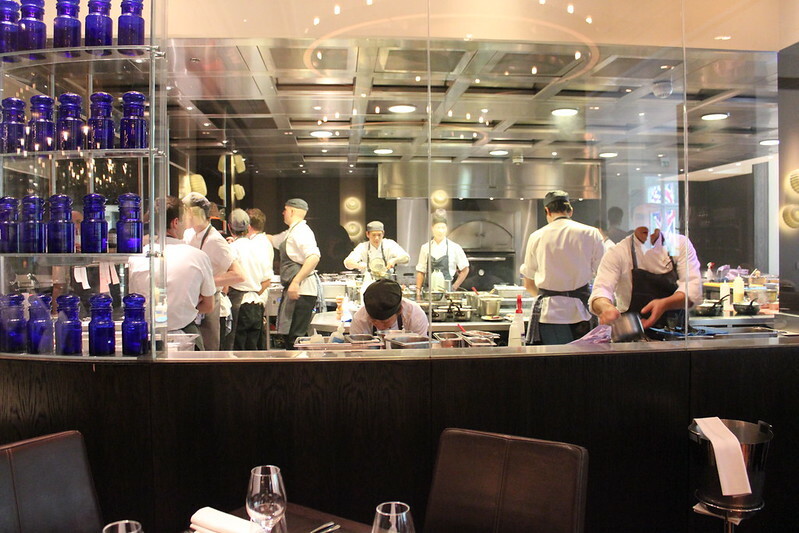 Definitely more accessible than the Fat Duck! I’ve heard that place is booked solid for months and months (unsurprisingly) but also far more affordable (whoopee!) haha. Wow this looks amazing. Can’t wait til I can head over to London and check out the great restaurants!